How do I use white label/branding functionality? 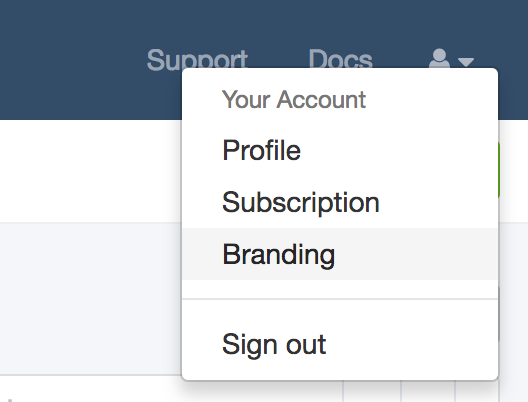 The options for adding your custom branding to the Serpfox interface are available through the menu on the top right. Provided you have a plan with the ability to use our branding features, you will be presented with an option to enable branding and several options for changing the look and feel of the Serpfox interface. The first option is a subdomain. When this is set, you and your clients can access the Serpfox interface through yourcompany.serpfox.com, which will enable the branding options. The remaining options adjust the look and feel of the Serpfox interface. Site title - Change the title that is displayed in the user's browser bar. On the standard Serpfox interface you will see titles like 'URLs - Serpfox' in the browser bar, this allows you to change that to 'URLs - Your Company'. Icon - The icon is displayed in the menu bar in place of the small Serpfox logo. Logo - The logo will be displayed at the top of your reports and on the sign in pages for the interface. Background Color - Changes the color of the menu. To work correctly, this color should be reasonably dark. Enjoy, and please contact us if you have any questions!